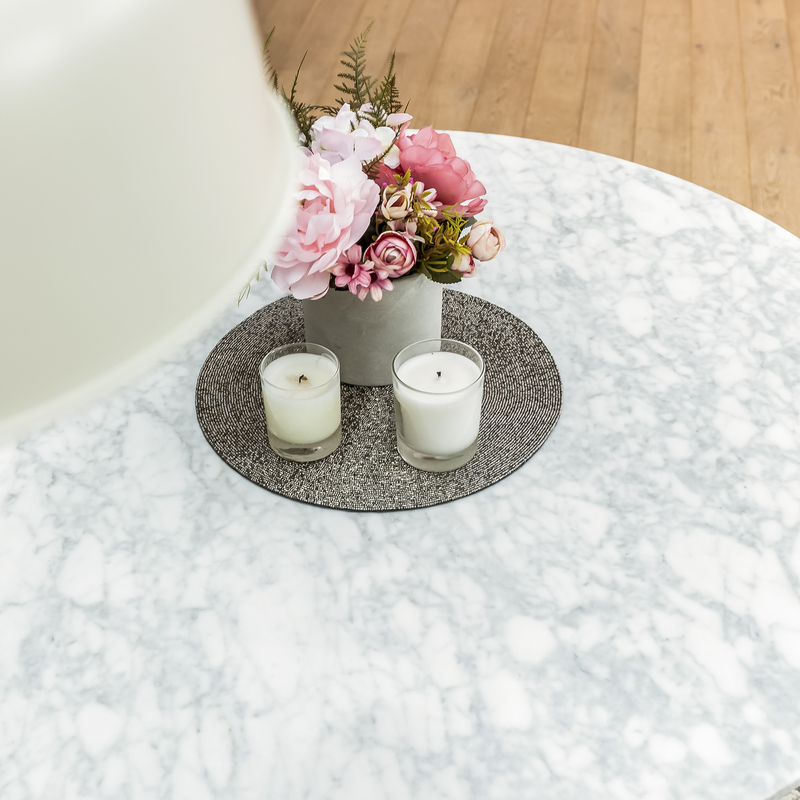 This Carrara marble circular shaped table is ideal for maximising dining space without it taking over the room. 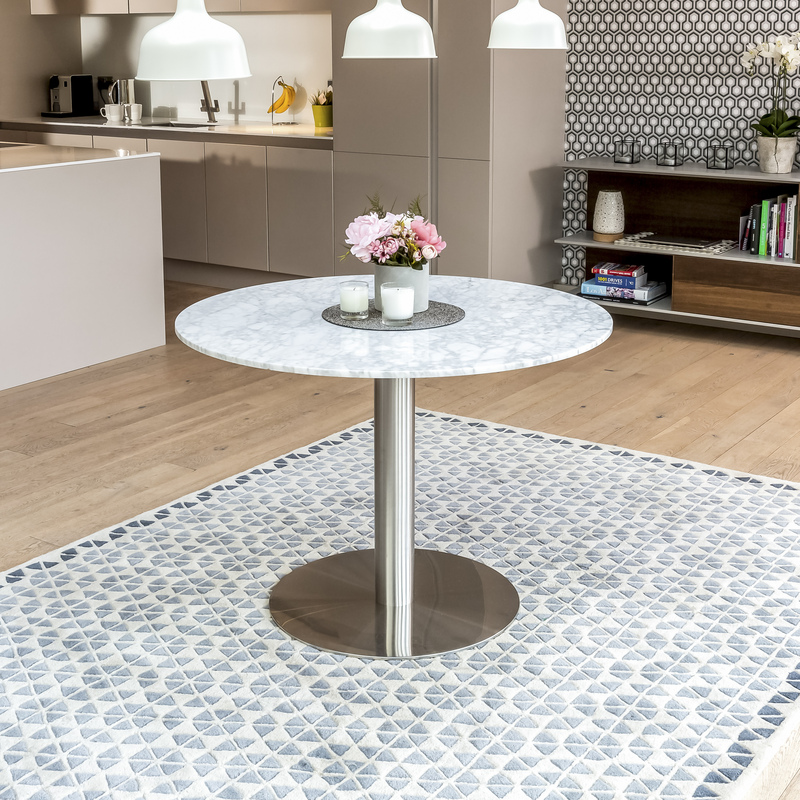 This circular shaped table is ideal for maximising dining space without it taking over the room. 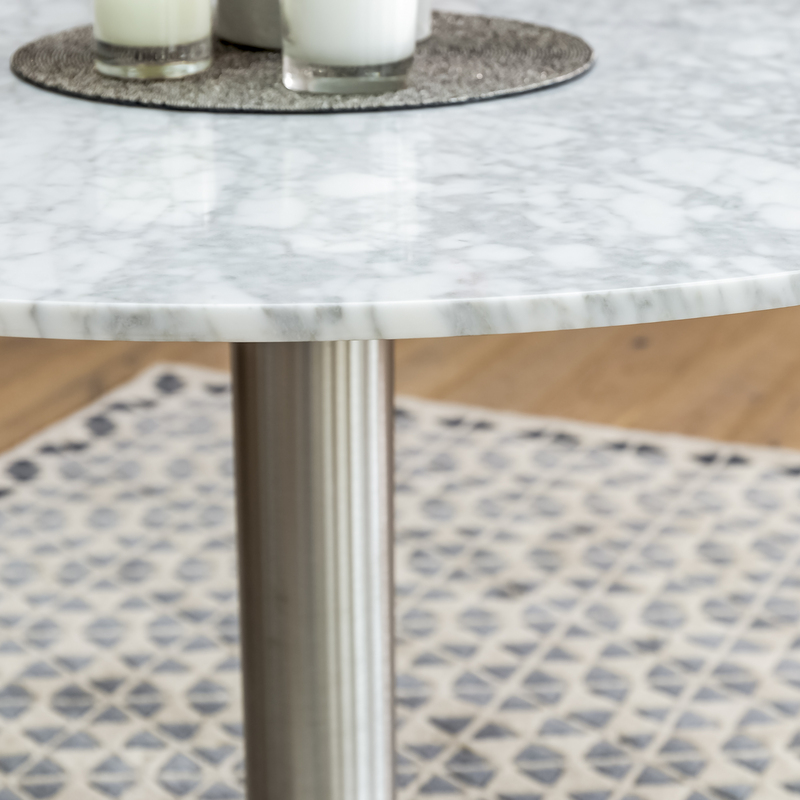 This Carrara marble dining table top is supported by the sleek base brushed steel base. 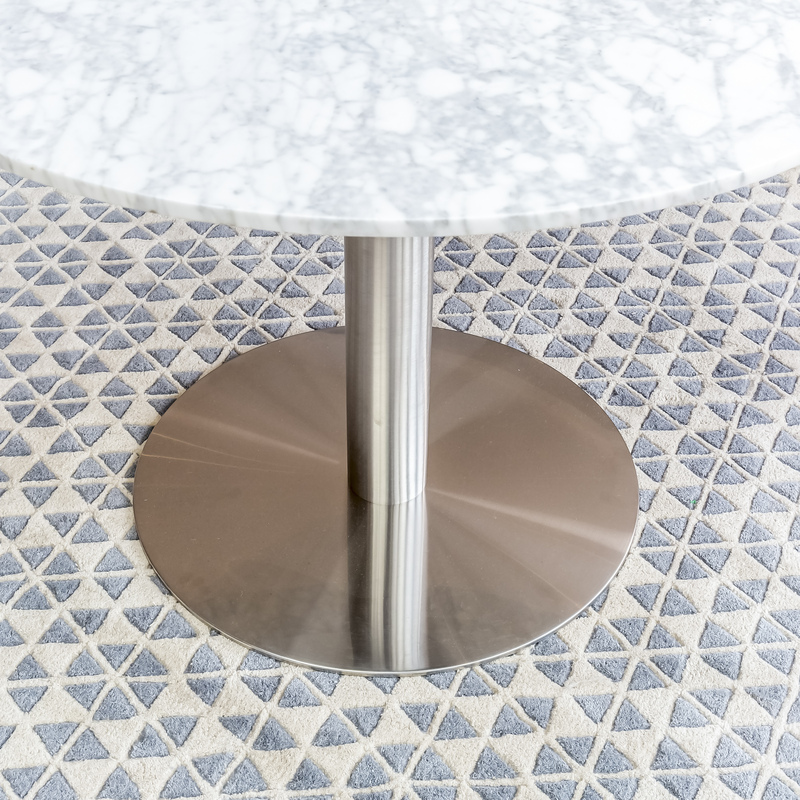 This dining table will seat 4 people very comfortably. 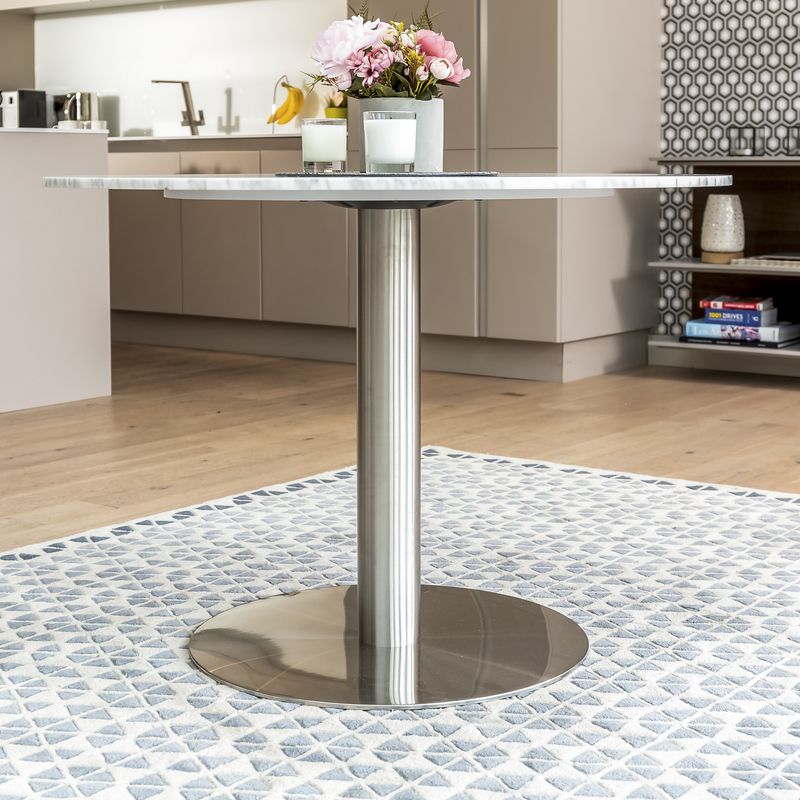 These tables are delivered in three boxes for easy access to your property.